One of the most important philosophical reflections on technology in recent years (or ever, for that matter) is Bernard Stiegler‘s three-volume work, Technics and Time. Now, over on twitter, someone has undertaken the task of adapting this work to a series of tweets–performatively raising questions about contemporary changes in the meting out of time by means of digital technics, perhaps? In any case, the stream (@TechnicsAndTime), signed “Not Bernard Stiegler”, just got underway a couple of days ago, so it’s not too late to jump in. And it’s always nice to read a gem like this in the midst of all the other significant and insignificant tweets scrolling by: “Nonorganic organizations of matter have their own dynamic when compared with that of either physical or biological beings.” In this spirit, enjoy! From the first silent feature made in 1913, one of the many appeals of commercial Hindi cinema has been its persistent and multifarious staging of the Indian nationalism. It has been argued that the Bombay film constitutes a significant site for the popular negotiation of the Indian nation and that its history could even be told as an eccentric allegory of the checkered, postcolonial career of the Indian nation-state. In the 1960s and 1970s, for instance, when the “brain drain” paradigm ruled the official and dominant view of emigration in India, in the Hindi films the emigrant was portrayed as a sort of deficient Indian. His Indianness corrupted by Western decadence, he was someone who needed to be reformed, if not reviled. But, all this changed after the processes of economic liberalization were set in motion in 1991 and the Indian state started wooing the non-resident Indian (NRI). The new Bollywood NRI is not just an exemplary Indian, but even excessively so. In other words, he is more Indian than Indian, because he is both ultramodern and hypertraditional; he has a hugely successful career in the West, but his home is still an improbable oasis of Indian values and religiosity. Thus, the new Bollywood NRI embodies a deterritorialized cultural nationalism which utilizes the rhetoric of India’s alleged emergence as a global superpower. But, with the unprecedented global recognition and popularity of Bollywood, the rise of the new NRI has also been accompanied by an upsurge of Hindu nationalism within India and in the Indian diaspora. Does the changed socio-economic context and cinematic form account for Bollywood’s growing global appeal? We plan to engage with these and other related issues in our series “Bollywood Nation” with five films to be screened between 27.10.2011 and 26.01.2012 at 18:00 in room no. 615. 08.12.2011 – Pardes [Foreign Land] (Dir. Subhash Ghai, 1997, 195 mins. ): Another commercial success, both in India and abroad. 05.01.2012 – Mr. and Mrs. Iyer (Dir. Aparna Sen, 2002, 120 mins. ): An English language, Indian film and not a Bollywood production; offers a contrasting aesthetic and another kind of negotiation with the composite idea of the Indian nation. 26.01.2012 – Kabhi Khushi Kabhie Gham… [Sometimes Happiness, Sometimes Sadness] (Dir. Karan Johar 2001, 210 mins. ): One of the biggest commercial hits outside of India and the first Bollywood film to be released simultaneously in Germany, under the title In guten wie in schweren Tagen. Such varied analytical and theoretical formations obviously diverge and disagree in many of their aims, objects, and methodologies. But they are all of a piece in taking up aspects of the nonhuman as critical to the future of 21st century studies in the arts, humanities, and social sciences. Running roughly parallel to this nonhuman turn in the past few decades has been the“posthuman turn” articulated by such important theoretical works as Katherine Hayles’ How We Became Posthuman and Cary Wolfe’s What Is Posthumanism? Thinking beyond the human, as posthumanism is sometimes characterized, clearly provides one compelling model for 21st century studies. 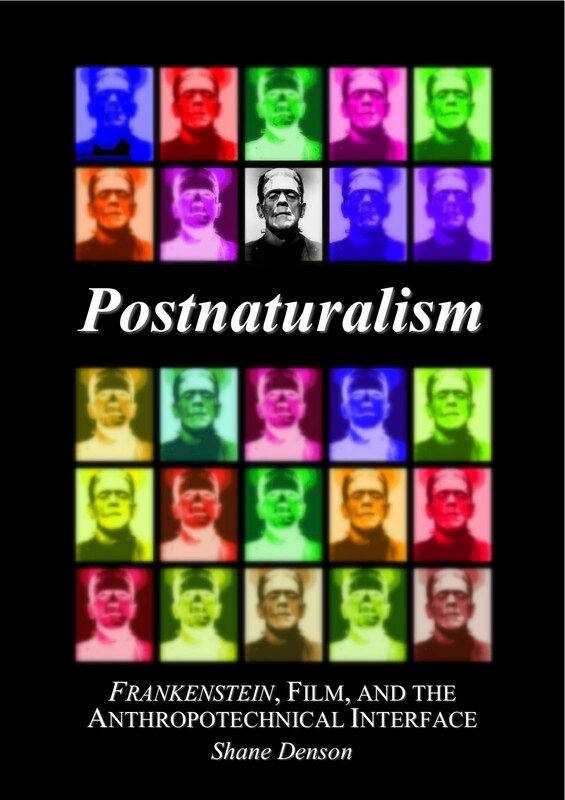 But the relation between posthumanism and humanism, like that of postmodernism to modernism, can sometimes seem as much like a repetition of the same as the emergence of something different. Thus, one of the questions that this conference is meant to take up is the relation between posthumanism and the nonhuman turn, especially the ways in which taking the nonhuman as a matter of critical, artistic, and scholarly concern might differ from, as well as overlap with, the aims of posthumanism. In pursuing answers to such questions, the conference is meant to address the future of 21st century studies by exploring how the nonhuman turn might provide a way forward for the arts, humanities, and social sciences in light of the difficult challenges of the 21st century. In addition to the invited speakers, the conference will hold several breakout sessions for additional participants to present their work. Please refer to this Call for Papers for details and deadlines. 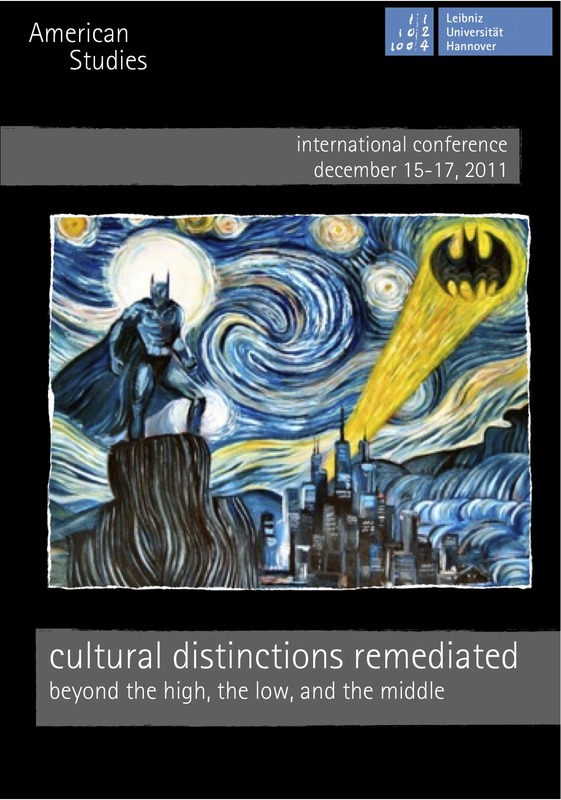 Artist James Hance, maker of really cool stuff, has graciously allowed us to use his “Dark Starry Knight” image for the posters we’re putting together for our conference, “Cultural Distinctions Remediated: Beyond the High, the Low, and the Middle,” which will be held December 15-17 at the Leibniz University of Hannover. What you see above is a mock-up, not the final deal. More info on the conference coming soon. In the meantime, in case you missed it: here’s the “promo video” for the conference–with superheroes on a subway! Videogame researcher and developer Ian Bogost posted this video he made on the photography of Garry Winogrand, looked at through the lens of object-oriented ontology–a philosophical approach he shares with Graham Harman, Levi Bryant, and Timothy Morton. While my own metaphysical orientation is closer to the process-relational metaphysics put forward by people like Steven Shaviro and Adrian Ivakhiv (and following people like Whitehead and Deleuze), I agree with Adrian Ivakhiv that a significant middle ground can be found between the two positions. This is something that has been debated time and again in the speculative realism blogosphere, and I don’t want to get into that debate here; above all, I don’t want to suggest that there is no difference between these “schools” of thought, only that for some purposes these differences may be less important than the commonalities–above all, the common opposition to what Quentin Meillassoux has identified as “correlationism,” or the view that subjects and objects, humans and things, phenomenal appearances and substratal reality are always and inextricably tied to one another, that there can be no access to a realm outside human thought, and that there is no interaction that would breach this correlation. One can certainly question the claim that all of post-Kantian Western philosophy up until the advent of speculative realism (itself a contentious term that collects positions so various as to be outright opposed to one another) was beholden to the spell of correlationism, but whatever one decides about that, Meillassoux’s identification of this tendency is surely not without heuristic value. And thus speculative realisms, object-oriented ontologies, and process-relational philosophies can be seen to make common cause with posthumanistic positions that aim to decenter human perspectives and anthropocentrisms of all sorts. In my own work, I have tried to triangulate such philosophical efforts with a theory of media as (in Mark Hansen’s words) “the environment for life” or, as I prefer, media as the environment for agency (both living and nonliving). Anyway, this is all just a long way of saying that I recommend watching Ian Bogost’s nicely made video, which offers a thought-provoking contribution to this effort to think media beyond the frame of human intentionality, instrumentality, and sentimentality. In this dissertation, I argue that the filmic progenies of Mary Shelley’s Gothic novel Frankenstein cast a special light on the historicity of human-technological interfaces—supposing, at least, that we approach the films in a vigorously historicizing manner. Seen in the context of the historical connections that obtain amongst their narrative contents, their social settings, and contemporaneous cultural conflicts; set in relation to media-technical infrastructures, innovations, and transitions; and located squarely in the material and experiential parameters of historically situated spectatorship, Frankenstein films reveal specific, changing configurations of human-technological interaction: patterns, tendencies, and deviations that mark moments in a richly variable history that is at once a history of cinema, of media, of technology, and of the affective channels of our own embodiment. The body of this work is divided into three main parts, the task of Part One being to locate the experiential challenges posed by Frankenstein films. Towards this end, Chapter 2 develops a historically indexed “techno-phenomenology” of the dominant film-viewer relations under the paradigms of early and classical film; I then apply this perspective to the analysis of two Frankenstein films from the respective film-historical periods, each of which is shown to instantiate a vacillating destabilization of spectatorial relations, pointing to a volatile intermediate realm between the phenomenological regimes of early and classical cinema. In Chapter 3, I follow this cue to the transitional era of the 1910s, and specifically to the first known Frankenstein film proper: the Edison Studios’ 1910 production Frankenstein. As I argue in that chapter, the dualities of address exemplified in this film point to a broader experience of transitionality which, on the move between more determinately stabilized situations, presents itself negatively to phenomenological subjectivity—as an indeterminate gap. It is in these gaps of transitionality that I locate Frankenstein films’ characteristic challenge, and in Part Two I take up that challenge by formulating a theoretical framework, that of postnaturalism, that would be able to answer the films’ provocations. Chapter 4 first circles around the gaps that feminist readers have located in the text of Mary Shelley’s Gothic novel before diving into them to discover a theory of a pre-personal and therefore non-discursive contact between human embodiment and technological materiality. On the basis of this contact, as I argue, technological revolutions (such as the industrial revolution in the wake of which Shelley composed her novel) are capable of radically destabilizing human agency, causing us to draw experiential blanks and to produce textual gaps—which, however, are quickly filled in and forgotten in the process of novel technologies’ habituation and naturalization. In the techno-scientific interlude of Chapter 5, I trace these processes in the context of the industrial steam engine’s recuperation by thermodynamic science in order to uncover the postnatural historicity of natural science’s nature itself—i.e. the fact, not reducible to an epistemic phenomenon of discursive construction and projection on the part of human subjects, that material nature itself is constantly in motion, in transition, and that—due to the role of technologies in this history—nature has thus never been “natural.” Chapter 6 translates these findings into a specifically postnatural media theory, which pertains not only to empirically determinate apparatuses but to the very historicity of the phenomenological realm as it is co-articulated between human and nonhuman agencies; as a film-theoretical correlate of this theory, I put forward what I call a “cinematic double vision,” which alternates between a Merleau-Ponty inspired phenomenological perspective and a Bergsonian metaphysics to reveal film experience as animated by the interchange between human situations and technological displacements. Part Three then returns to Frankenstein films to demonstrate the films’ special relations to the postnatural historicity of the anthropotechnical interface and, in effect, to execute a rapprochement between the conflicting human and nonhuman agencies inhabiting these films. In order to do so, Chapter 7 turns to the paradigmatic filmic progenies, James Whale’s Frankenstein and Bride of Frankenstein, and, on the theoretical basis of postnaturalism, alternately illuminates the human and nonhuman perspectives that come together to animate the films’ central creature. In this confrontation—the staging of which is inextricable from the films’ historical moment and specifically from their relations to the then-recent transition to sound cinema—I seek a non-reductive means of apprehending the alterior agency that occupies the gaps in subjective experience provoked by Frankenstein films. Chapter 8, by way of conclusion, briefly pursues this line beyond the paradigm case, taking a more synoptic view of the continuing proliferation of the Frankenstein film; here I seek to illuminate the active role played by cinematic technologies in eliciting a fleeting experience of transitionality, which lies submerged beneath the weight of our habituated or “natural” relations to those technologies. The rapprochement of which I spoke consists, then, of a recognition of the mutual articulation of experience by human and nonhuman technical agencies, whereby the affective and embodied experience of anthropotechnical transitionality is not arrested and subjugated to human dominance, but approached experimentally as a joint production of our postnatural future. This is the ultimate challenge posed for us by Frankenstein films.